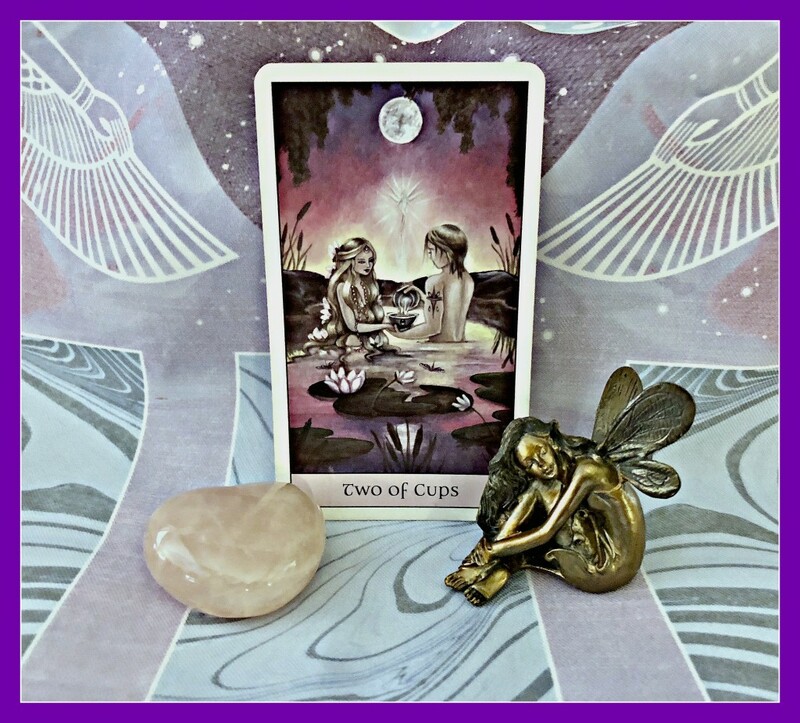 Two of Cups – As the Moon enters the watery sign of Cancer today where our Sun is also; it’s about our outer and inner expressions of feelings, choices, and intuition. Cancer calls us home. There is something enchanting about this card for it can be a choice of joining two lovers, a reconciliation after a disagreement, a partnership or blending of two aspects of ourselves; the yin/yang, inner/outer, light/shadow with love and compassion. Today we can raise our cups to celebrate each other through the power of love! Water Spirit/Fairy – If you listen closely, out in nature, you might hear the fairies singing to you.